Brothers and sisters, all my relations, Red/white/Black/Asian/Arab and Hebrew, and all my Animal Brothers and winged Brothers, I send out my voice to you all. It is now time to rise up in defence of the Earth, waters, prisoners, poor, Indigenous, children, elderly, animals against empire and destruction. We must all at every level in every struggle rise. It is time to forget ‘self’ and unite at all corners of the Mother Earth. We all must be wise and selflessly rock and roll against the empire that is seriously destroying the Earth and using electrical technologies to control humanity, as well as prisons, force, chemicals, bio-weapons, TV and other forms of control. Seek higher consciousness in the human “heart realm,” the vision place within the universe of our heart center. Reject this empire and banker-controlled civilization! Wake up people and warriors of compassion, love and justice! Wake up now! There is no time left for ‘talk,’ only to quickly complete the organizing and shift into actions. This empire of destruction is in continual action to please their elite masters of oppression. So we who seek to preserve life and aid the poor must persist without doubt. We can no longer afford to sit and wonder what we can do, because each of us knows what we can do, but we are too full of fear to make self-sacrifice. That is the problem that hinders the whole range of struggles for justice. Fear to confront empire. We ‘fear’ because we all know what they use to repress any movement that fights their abuse of Earth, animals and humanity. There is not an endless space of time left for us warriors, so get busy! 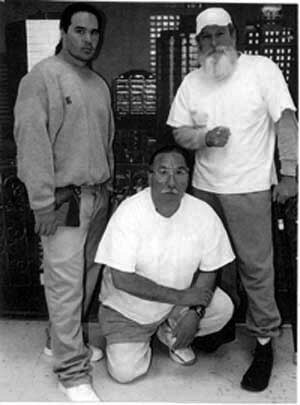 Free Leonard Peltier for real! Free Tom Manning! Free Marilyn Buck! the great Mumia Abu Jamal. Enough is enough. I’m not joking – get them free and stop wasting days.